Like Ezra Klein, I find somewhat amusing the excitement over the newly discovered video clip of Mitt Romney proudly declaring in 2002 "My views are progressive." As Ezra notes, "After all, from 2003 to 2007 Romney was governor of Massachusetts. His record as governor is public. That record is either progressive or not, depending on your definition of the term. 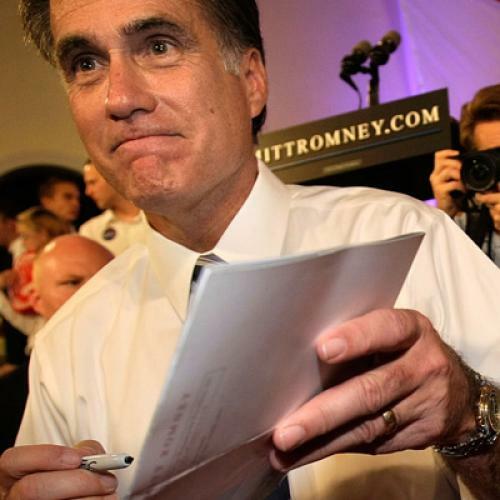 Romney’s comments don’t add any new information into the mix." Ezra goes on to explain why clips like these do, nonetheless, give Republican voters justifiable pause. It's worth reading his post in full. Of course, as the piece goes on to note, Romney's enthusiasm for the subject waned later in his term, as his presidential aspirations grew. But it is episodes like this that help explain why many conservatives are so wary of him. Not so long ago, he wasn't just calling himself a progressive, he was truly behaving like one, even on fronts where he wasn't necessarily going to score a lot of points with the audience of the moment.